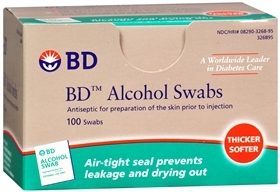 BD sterile, non woven alcohol prep pads saturated with 70% Isopropyl Alcohol in individual packets. Come in a box of 100. 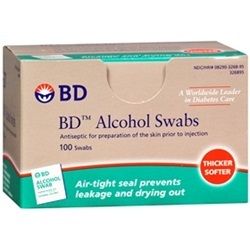 Manufactured by BD. NDC Number: 08290326895. Measures 1" x 3/4".